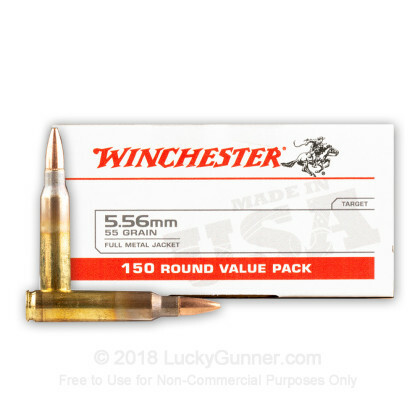 This 150 round value back by Winchester provides 150 rounds of American made 5.56 cartridges at your fingertips. 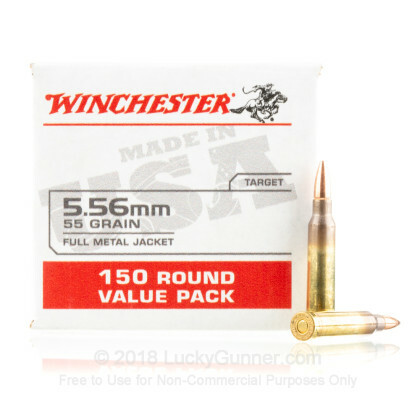 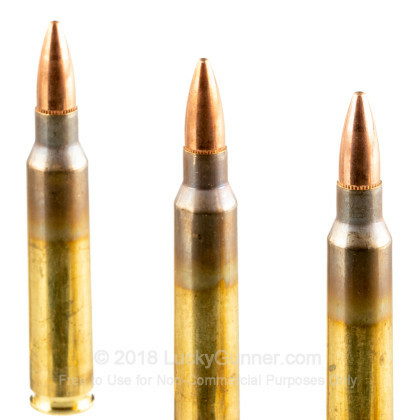 Perfect for a quick session at the range with your AR-15, this ammo is well suited for honing your skills with reasonable accuracy at an affordable price point. 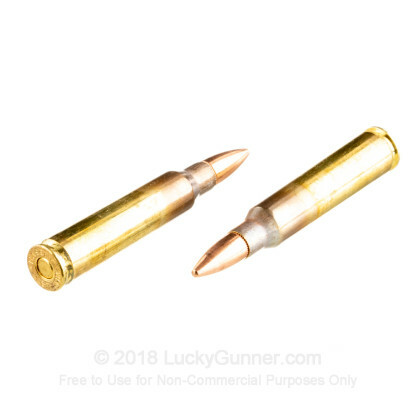 Made from factory fresh brash that has been heat annealed on the case body and neck, this ammo is built to allow for multiple reloads. 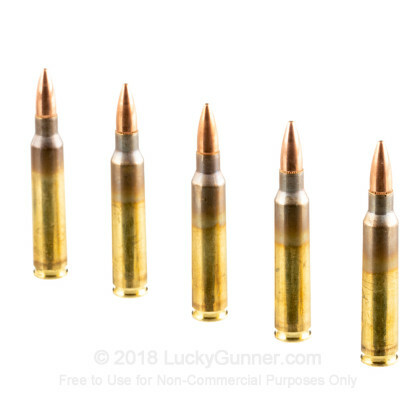 This ammo is new production made with boxer-primed reloadable brass and is considered non-corrosive. 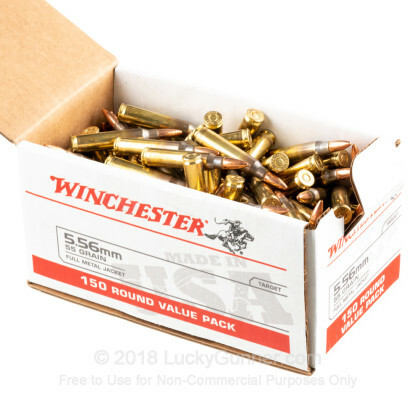 Winchester is an iconic American brand that helped settle the West and has been a major supporter of America's armed forces and law enforcement to help defend freedom.